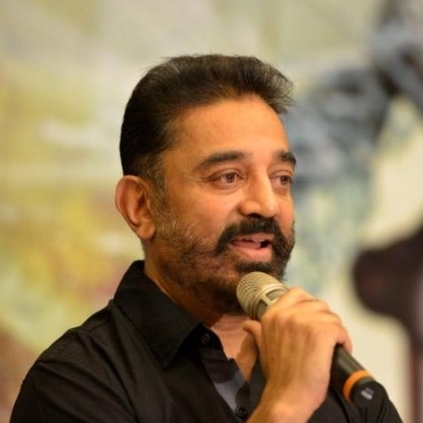 On the occasion of being honored with the title of Chevalier de l’Ordre des Arts Arts et Lettres(Knight in the National Order Arts and Letters), Kamal Haasan expressed his heartfelt thanks. He quoted "The French Government has kindly conferred the Chevalier award for Arts and Letters on me. On this occasion, I bow before my more deserving forerunners, Mr.Satyajit Ray and Mr.Sivaji Ganesan, who made even the common man realise the importance of the Chevalier Award." He also said "I thank his excellency, the French ambassador in India, Alexander Ziegler, who intimated me of this honour. This award humbles me rather than stiffen me with pride. I realise my journey in the chosen field has not been alone. Teachers and admirers are abundant around me. With motherly care, they have plauded my every little step forward. The melancholy of my parents not being alive to see this day is allied by the fact that the elders and young are still there in my family to enjoy it. I dedicate this award to my admirers and audience who give me the tenacity of purpose, to pursue to this day and moment, my arts and letters. Thank you".